Segues are unrelated to segments, although the two words sound similar and are both about parts. On this week’s edition of That’s What They Say, host Rina Miller and University of Michigan English Professor Anne Curzan look into the etymology of segue. The term segue, however, is completely unrelated to the term segment. Rather than Latin, segue finds its way into English through Italian as a musical term. It is not until 1958 that segue is used in common English. At this time, radio deejays start using the term segue when referring to the transition from one song to another. Then, in the 1970s, segue takes on a figurative connotation. This leads to examples like, “A roar segueing into cheers” or “Adolescents segueing into middle age.” Since this new treatment of the term, segue’s popularity has been on the rise. What other words have changed? How has your old vocabulary segued into your new vocabulary? Let us know by commenting below. If you know where the "yoopers" and the "trolls" live, there’s a very good chance that you’re from Michigan. On this week’s edition of That’s What They Say, host Rina Miller and University of Michigan English Professor Anne Curzan discuss some vocabulary that is unique to the state of Michigan. Since its recent addition to the Merriam Webster Collegiate Dictionary, yooper, a term referring to people from Michigan’s Upper Peninsula, has gotten a lot of attention. However, there are plenty of other fun Michigan words that are not making headlines. There are not enough proverbs in the world for everything that is proverbial. On this week’s edition of That’s What They Say, host Rina Miller and University of Michigan Professor of English Anne Curzan examine the overuse of the word proverbial. The term proverbial first appears in the English language in 1475. At this time, a proverbial saying is a proverb itself. However, by the late 16th century, proverbial is used to describe sayings that are well-known, or merely similar to proverbs. Nowadays, this usage continues. Curzan looked in the Corpus of Contemporary American English to find some examples. If something is inflammable, it is no longer entirely clear whether we can set it on fire, or we can’t. There are two types of “in-” prefixes, and although they sound the same, they have different meanings. The first “in-” means “in or into,” like the examples income and inland. The second “in-” means “not,” as in the words inedible or incomprehensible. The term inflammable uses the “in or into” meaning of the prefix. Consequently, something that is inflammable can be put into flame. However, the prefix has caused some confusion. If a "preventive" measure is the same thing as a "preventative" measure, it seems hard to justify having both words. 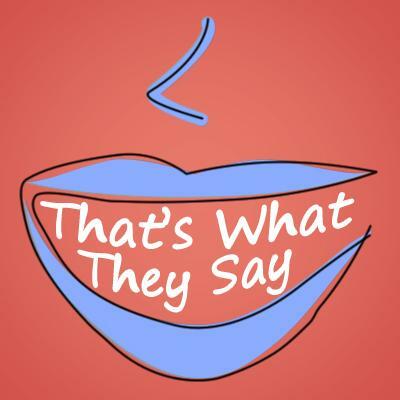 This week on That’s What They Say, host Rina Miller and University of Michigan English Professor Anne Curzan discuss words with multiple endings. In this case of preventive and preventative, preventive is used more often. So is the shorter ending always more common? “If we look at the ‘ive’ ending as in preventive, versus the ‘ative’ ending as in preventative, it’s not always the case that the shorter one wins,” Curzan argues. When looking at the terms exploitative and exploitive, Curzan found that the “ative” ending is four times more common than the “ive” ending. Nevertheless, both of these terms are in dictionaries, making either usage correct.